Reading the title of this article you may think that good old Tony at BulletsFirst has lost his marbles. July 4th is the recognized date for the birth of our nation. Or June 21st when in 1788 the Constitution was ratified by the last necessary state. Or even December 15th when in 1791 the Bill of Rights were ratified. 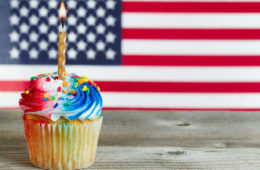 But no, I say happy birthday not to America…but to the UNITED STATES of America. This is also an important declaration because it is the emphasis behind the 10th Amendment that would be written some 15 years later. That states rights were guaranteed rights as individual entities and rights OVER the newly appointed federal government. Sadly, somewhere along the way that got overshadowed…much like that pesky part of the 2nd Amendment that says “shall not be infringed”. But it is always good to know the history in order to restore it. The more you know, the harder it is for progressive radicals to rewrite history and steal away your rights. Can you guess what these countries were formerly called?